The options and resources available to marketers today are many and powerful, including video marketing, social media, blogging, search engine optimization, pay-per-click, referral marketing, and mobile marketing and analytics. But one marketing tactic continues to perform year after year as one of the best options out there: email marketing. It’s a solid, proven strategy that delivers an impressive ROI: $44 for every $1 spent. This isn’t to say you don’t need to use other marketing tactics; you absolutely do. Creating a well-rounded marketing strategy depends on the interplay between various online techniques. But email marketing is still a foundational part of that process. Email marketing in its simplest form is the use of email to create and maintain permission-based relationships with prospects and customers. It is permission-based, because sending unsolicited emails to consumers is in direct violation of email regulations (such as the CAN-SPAM act and GDPR). Consumers give you permission to send them emails when they opt-in to receive information from you. They may request a report or coupon from your website, take a quiz and ask for the results, or purchase a product and expect follow up. The key to successful permission- based marketing is to make sure you’re only sending your subscribers the information that they requested and expect. It is relational because the days of faceless business are over. Consumers expect and demand the option of a personal touch with every business they deal with, and if they don’t get it, they will move on to one that provides it. If you only send promotional emails to your contacts, pummeling them with sales messages, they will lose trust in you, become annoyed and unsubscribe or worse — mark your email as spam, damaging your email sender reputation (making it harder for the emails you send to make it to your recipients’ inboxes). Obviously, the majority of your emails should be nurture/relational emails, but getting the balance right requires a marketing strategy. Rather than randomly sending emails and offers to your subscribers, you’ll want to design a plan that nurtures, engages, sells, and follows up with them. A robust email service provider such as Infusionsoft makes it easy to segment your contacts as they opt in to your email list, so you can tailor your messaging to their specific interests. Finally, track and analyze your email campaigns. Using the tools provided by your email service platform (such as Infusionsoft), pay attention to how many of your emails are opened, which links are being clicked and how many unsubscribes or spam complaints you get. This will give you a well-rounded picture of how your list is responding to your campaigns, and you can tweak your strategy as needed. As your list engagement grows, consider using their behavior to future customize their journey. For example, if a certain link is clicked in an email, consider that as an indicator of their interest and use that link click to start them on a different journey, always letting their behavior and engagement inform you of what they want and need. As a marketer, it’s easy to become overwhelmed with the ever-increasing number of channels you have available to you to interact with your prospects. And while it’s good to use a variety of marketing tactics, you don’t have to (nor can you) use them all. Email marketing is a time-tested, effective way to engage with your audience and increase sales. There’s a lot of talk about digital marketing right now, and you’ve probably used the term yourself, but what is it, exactly, and how can it help you grow your business? It’s helpful first to distinguish between traditional marketing and digital marketing. At their core, they’re both marketing: the act of moving goods and services from the producer to the consumer, and it can encompass all stages of the process including market research, product conception, advertising/messaging, product delivery and post-purchase activities such as reviews and referrals. Before there was digital marketing, there was only one kind of marketing – what we now call traditional marketing. Traditional Marketing uses conventional methods such as printed materials, broadcast (television and radio), postal mail and telephone calls. Digital Marketing uses online approaches in a variety of forms, such as websites, email, text messages, social media, search engine optimization, pay-per-click, referral marketing and sophisticated automation and tracking. Digital marketing not only uses these various online techniques, it uses them together to create an interconnected process of engaging, tracking, measuring and optimizing the consumer’s interaction with a particular brand or company. So even though both types are ‘marketing,’ digital marketing takes marketing to a higher tier of effectiveness, providing opportunities to engage with consumers on their terms. And that’s where things really get exciting, because digital marketing makes it possible to create relationships with those consumers, long before they become customers. These relationships develop out of familiarity and trust and are built because you as the marketer are able to put yourself and your product and offer help where those consumers are spending their time online: participating on social media channels, using search engines, clicking ads, reading emails, browsing websites and watching videos. In some cases, the consumer is actively looking for your product by using search engines. They may not know you exist yet, but by searching for a solution to a problem or an answer to a question they have, they learn you exist when your ‘digital assets’ appear in the search results. These assets could be content marketing pieces such as blog posts, social media pages or posts, videos, infographics, reviews left by previous customers, downloadable resources or online tools such as quizzes. 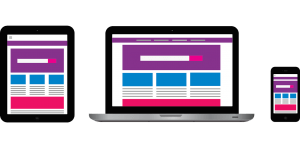 By using paid ads within the search engines and by optimizing your website content for search, you can increase the likelihood that your ads and content will show up early in their search. In other cases, consumers aren’t looking for you, but if you understand the persona of your ideal customer, you can look for them and ‘show up’ where they are. Using the advertising capability of social media platforms, for example, you can target and offer helpful content to people who match the characteristics of your targeted prospects. Once these consumers begin interacting with your digital assets, you can start identifying them, tracking their behavior and ‘showing up’ more frequently where they are spending time. For example, they may give you their email address in exchange for a downloadable resource, or they may ‘like’ your page on Facebook. From this point, you can use email marketing, retargeting, permission-based texting and phone calls, chat bots, video marketing, free offers, and a whole host of other ‘digital marketing’ tactics to build a trusting, help-based relationship with these consumers. But you won’t be using these tactics blindly. One of the main strengths of digital marketing is the ability to measure the performance of your efforts across the channels you use. You don’t have to guess whether your marketing is effective or profitable, because you can use KPIs or Key Performance Indicators to determine what is working and what is not. These KPIs vary depending on what is important to you and the kind of marketing you are doing. They could be YouTube channel subscribers, email open and click rates, time spent on website pages, number of opt-ins on a landing page, likes or shares on social media posts, paid and organic traffic hits, mobile vs desktop views and of course, return on investment for all methods. Based on the metrics you measure, you can constantly ‘course correct’ to create an ongoing, effective digital marketing strategy. When used effectively, digital marketing is a smart way to achieve your marketing objectives by creating awareness of your product for your target market, establishing a trusting relationship with them, tracking their engagement with your brand, and then turning them into customers and raving fans. If you own a business, you cannot ignore digital marketing. Whether your company is strictly brick and mortar, completely online or a combination of both, digital marketing is likely the most effective means of connecting with your prospects, building an audience and creating revenue and referrals. But to stay competitive, you’ll need to be aware of the anticipated marketing trends for the new year, so we’ve pulled together some of the top strategies to keep an eye on for 2019. 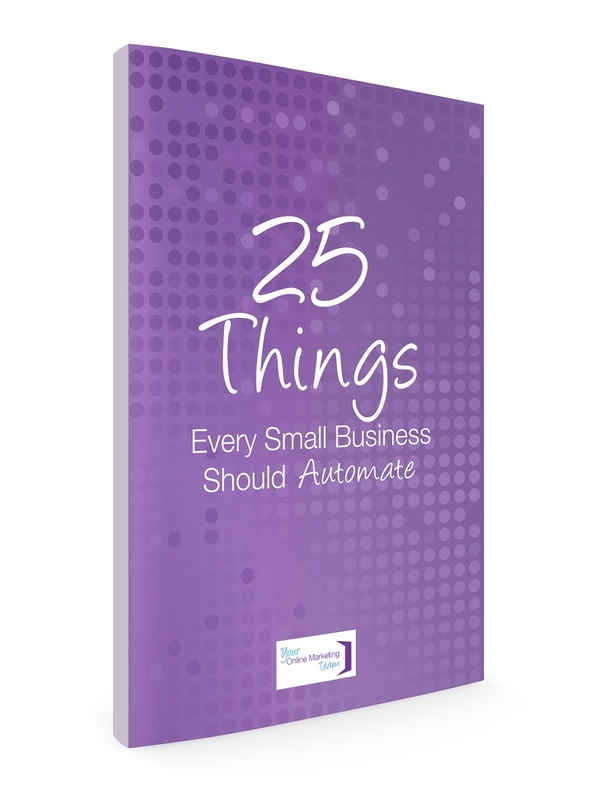 The good news is that all of these are within easy reach of small business owners, so read through the list, and choose a few to enhance your 2019 marketing plan. Establishing a trusting relationship with consumers isn’t necessarily a novel idea – or is it? Sadly, it is becoming increasingly rare. With the explosion of fake news, data breaches and spam issues, people more and more want to do business with people they can trust. So, be trustworthy and transparent. Use whatever means you can to show you are real, that you have their best interest at heart and that you can be trusted. This can be done through email, video, social media, testimonials, and guarantees. When combined with the FOMO (fear of missing out) phenomenon, social stories are positioned to be one of the top ways to engage your audience in 2019. They’re already exploding in popularity, up 842 percent since 2016, and thanks to their disappearing nature, there is an urgency to consume them. If you’re not already using stories, experiment with them to determine how best to use them in your marketing. Artificial intelligence meets small business in chatbots, and they keep popping up – because they work and because they appeal to large segments of the population. Some people want to talk to a live person, but not everyone does, and chatbots can save time and be a real enhancement of customer service. Combine this method of communication with the option of also connecting with a live person at your company, and you’ll have the best of both worlds, appealing to every visitor. Vertical video used to be anathema – the demand was for wide-screen, horizontal videos. But the trend is changing fast. According to this report there are several reasons why vertical is the way to go, including the fact that most of us are on our phones when we watch videos (and the natural position to hold our phones is vertically), it can produce more views and more engagement and it allows the viewer to focus more easily on the content with fewer distractions. Even with all the new trends and techniques on the block, marketing automation is still high on the list of effective digital marketing strategies. What’s working? 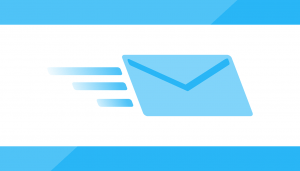 The more personalized you can make your email marketing, the better it will perform. People like to be ‘known.’ They like targeted suggestions based on previous history. So use this to your full advantage. If you’re already using a marketing automation software such as Infusionsoft, be sure you’re taking full advantage of it to personalize your follow up. Use retargeting on social media, browsing habits, purchase history and email engagement to create a personalized experience for your audience. Are you noticing other trends in digital marketing? Share in the comments below! Are You Asking for Customer Feedback? After you’ve created your product or service and have made sales, how do you know if your clients are satisfied with their experiences with your business? The only way your business can grow is by creating happy customers, and the only way to know if they are happy is to ask them. When you ask for and then use customer feedback correctly, it can be a major source of improvement for your product or service. Their positive comments will let you know what’s working. You’ll learn the specifics about your product that appeal to your customer base, and these are the features and benefits you can highlight in future marketing materials. If you pay attention to the language they use to describe what they like about your product, you can use that language to speak directly to potential customers in sales and promotional copy. Learning what your customers like will also provide insight into future products and services that you can create. If a particular aspect is appealing, look for ways to expand or scale that feature into additional offerings. But positive comments are only half the value you receive when asking for feedback; the negative feedback is just as important. You’ll never be able to please everybody all the time, so you should expect to receive some negative feedback, and when you do, use it to your advantage: it lets you know what is not working and shows you where you can improve. Is there a problem with the product itself? Maybe your customer service team is not performing up to your standards. Perhaps the market is trending in a different direction and your offerings need to be updated. 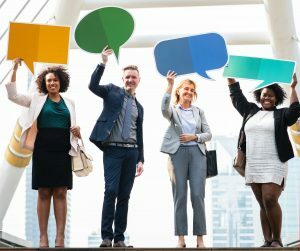 The temptation to take negative feedback personally is strong, but if you can resist the urge and instead view the comments as instructional, you may find you have an invaluable resource teaching you exactly what needs to be changed for your company to grow. When it comes to asking for feedback, we recommend being specific so you have data to work with when you receive responses back. Starting a conversation with an open-ended question is also a powerful way to get useful feedback. Rather than asking a yes/no question (Was your experience positive? ), ask a question that requires more detail (What could we have done better?). When asking for feedback, you may also want to offer an incentive for their responses – such as a coupon or another valuable gift. This is especially helpful if your customer base has a poor participation rate. Finally, interact with those who give you feedback. Responding to both the positive and the negative comments lets them know you value their opinion and that their time has not been wasted. Look for ways to right any wrongs for those who have had a negative experience and for those who are happy with your company, it’s a perfect time to express your gratitude and to ask for referrals. Writing great copy is essential for any successful business. Even with the current emphasis on video and podcasting, the written word is still one of the most powerful ways to attract and engage your ideal prospects. And now, more than ever, marketing copy has to be compelling and carefully crafted, because we’re all experiencing ‘information overload.’ It is estimated that most Americans have exposure to approximately 4,000 – 10,1000 advertisements each day. Because of this ‘content’ saturation, we’ve developed an unconscious, sophisticated screening process for what we pay attention to and engage with, and what we ignore. And we ignore a lot. But if your content is thoughtfully created, keeping top-of-mind the needs, interests and desires of your niche market, you can make it through their ‘content filter’ and get their attention. Your ideal prospects have grown weary of generalized, boiled chicken content; they need instead real value, real problems solved, real questions answered. Here then we will look at a few techniques you can use to create high quality content that is easily consumed, stands out, gets read and shared, and ultimately drives your prospects to profitable action. The first and most important thing to do when writing content you want to be seen and read is to write for the reader and to write in a way that feels natural and creates the best reading experience. You don’t need to ignore SEO. It’s important to consider optimal length, keywords and metadata. But those features should enhance your content, not dictate it. Getting intimately familiar with your ideal customer is always time well spent. What goals do they have? Knowing the answers to these questions will inform the kind of content you write and the language you use, and when your prospects read it, they will instantly be drawn in. This blog post by Digital Marketer has more tips on creating a customer avatar and offers a free worksheet to help you collect and organize the information. Your readers have allowed your content through their filters, so reward them. Give them what they are searching for, answer their questions, give them solutions and be sure to include a relevant call to action so they can pursue deeper engagement with you. Linking out to authoritative resources demonstrates that you have your reader’s best interests at heart and that you’ve done your research. Whatever your niche market is, they will recognize the names of key industry leader names and brands, creating an immediate sense of trust and connection with you. Don’t forget to make your content entertaining though. While you want to be considered an authoritative resource in your own right, this shouldn’t come at the expense of readability. Make sure your content is entertaining and your headlines grab attention. As with cooking, presentation is important for content marketing. This isn’t the place to practice those awesome 5 paragraph essay skills you perfected in English 101. Content Marketing has its own key features that make it easy for readers to get in, get what they want and get out. For example, notice how this article is broken into segments with separate headings. This prevents it from looking dense and it ensures that your reader can quickly get the information they’re looking for. 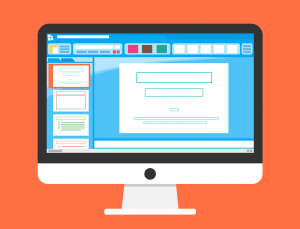 White space is also a good idea: short sentences and paragraphs, bullets, and carefully positioned graphics also increase the chances that the reader will spend more time with your content. If your readers have to work hard to consume your content on their device, they will click away. We’ve all had the experience of trying to read non-mobile responsive content on a mobile device. The scrolling, pinching and chasing necessary to see all the content is enough to make the most patient person give up and move on. When creating content, check the presentation on different sized devices before publishing. It’s a simple step with a big payoff. Use these techniques to audit your current content and create more effective content in the future, so you will stand out from the competing messages and get the attention of your ideal customers. You can create a business that supports you emotionally, spiritually AND physically. You are in charge of your future. Create what feeds your soul and fills your bank account. Maddie Brown, the Entrepreneurs CFO, talks in plain language to heart centered entrepreneurs about how to make and keep more money in a business they love. Maddie helps her clients get clear about their business and financial goals, clean up any money messes, get confident about where they are and where they are going and create a simple step-by-step plan to get there – without feeling overwhelmed, wrong or judged. 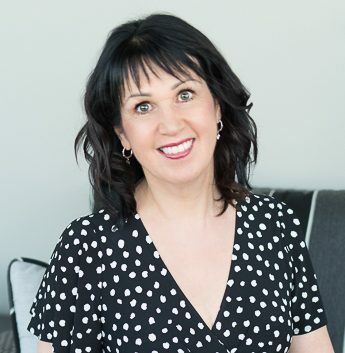 Her clients rewrite their Money Story and overcome the money chaos that’ s ruling their lives, regain their power over money and enjoy a life of financial confidence, clarity and freedom. Did you enjoy today's episode? Did you receive value from the podcast? If so, we'd love to hear it! Please leave a comment below and SHARE this episode with your friends. Thank you for listening and for paying it forward. What is your biggest takeaway? Share in the comments below! Reviews for the podcast on iTunes are greatly appreciated and will allow us to get the word out about this show and grow as a community. Every single review is read and we believe each one goes a long way in helping us make the show even better! If you received value from this episode, please take a minute to rate and review the podcast by clicking here. WANT TO MAKE YOUR NEXT PRODUCT LAUNCH SUCCESSFUL? Get this Product Launch Checklist to plan your next product launch, including timelines so you can have a smooth, successful and profitable launch! In this episode, you will learn the 3 elements of image and how when used correctly they create influence, credibility and profits. 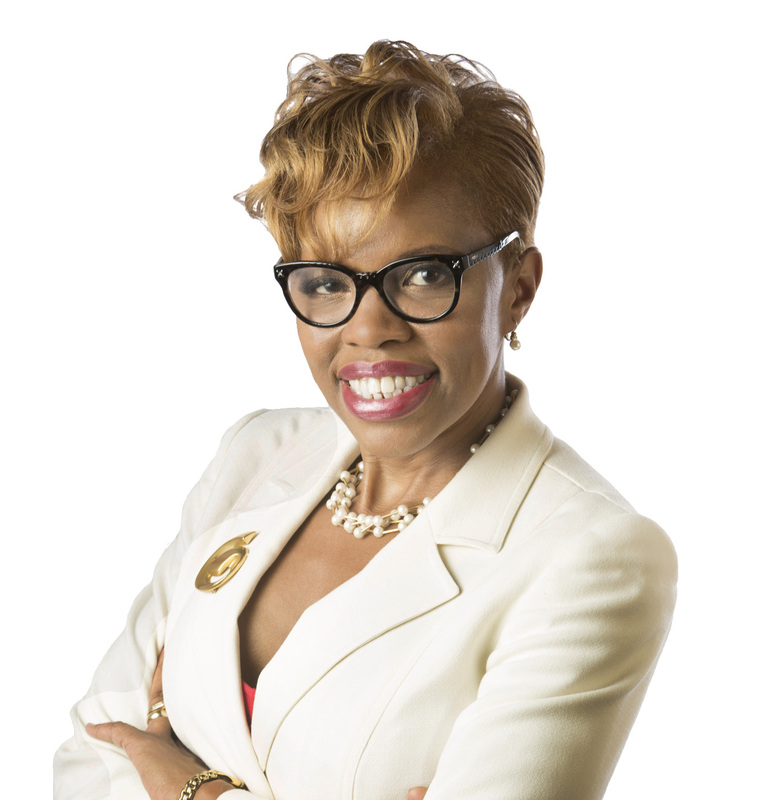 Sheila is an image consultant and former radio show host who leads entrepreneurs, speakers and business leaders through the process of creating a professional image that increases visibility, influence and profits. Known for blending personal energy, self- empowerment and wardrobe techniques, Sheila uses simple strategies to inspire her clients to create a style they love, while being true to their authentic self so they can walk into any room poised and confident. Sheila is co-author of “101 Great Ways to Improve Your Life,” and “My Style, My Way.” Sheila facilitates image workshops on “How Become More Influential in Every Business Occasion” and speaks to women’s groups and businesses on “How to Align Your Image with Your Brand to Attract More Clients.” Her quotes and articles have appeared in Complete Well Being, The Chronical Herald and The National Inquirer. To learn more about Sheila, visit her website at SheilaAlley.com. Follow Sheila on social media! Your website. Your business. These two entities are forever entwined. In fact, nowadays, if you have a business, it’s a given that you have a website. But here’s the thing, your website could be repelling potential clients instead of attracting them! This is killing your business. Instead of being part of the machine that makes your business successful, your website is the clog in the wheel. In Carol's eye-opening presentation, she'll cover 3 key areas where your website is causing you to miss out on getting clients and what you can do to stop it immediately. With over 20 years of experience with various web technologies and in coaching clients how to develop an online marketing strategy that screams WOW!, she is uniquely qualified to demystify this often confusing topic so that it makes perfect sense to your inquisitive audience. You are in business to make money, at least most people are. So if you’re not making money with your website, something’s wrong. It’s all about conversion, without conversion, your site is just taking up cyberspace. Your website is your 24/7 salesperson. In this 7-step guide, you’ll discover the secrets to getting users, "browsers" and "tire- kickers" to actually become real clients. Carol Dunlop mastered the tools of visual communication and design long before computers and the Internet became viable resources for small businesses. 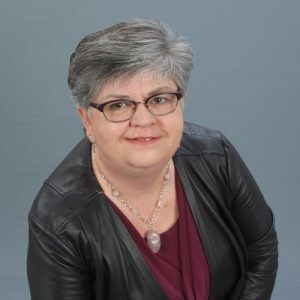 With over 20 years of experience in web technology internet marketing and social media marketing, Carol works with her clients to ensure their voice is heard over all the noise on the Internet. She believes your business hub is your website and that business owners can use social media to have fun, get the conversation started, grow brand awareness, build trust and ultimately convert their fans, friends and followers into paying clients. To learn more about Carol, visit her website at www.CSICorporation.com. Follow Carol on social media! Online marketing is a broad term that covers a lot of different things. In this podcast, Jama breaks down the specifics of online marketing and what it entails and gives you guidelines to not get overwhelmed by it all! In fact, you don’t have to do it all! Jama Bryan is CEO and founder of Your Online Marketing Team. Her entrepreneurial career began in 1996, as a solo virtual assistant. She now manages her team of 25+ marketing specialists from her farm in Georgia. Your Online Marketing Team is your strategic partner who offers a variety of marketing strategies, implementation and high-level, technical virtual assistant services to successful and strategic entrepreneurs who appreciate the sophistication of quality email marketing. Jama began supporting clients with Infusionsoft in 2005 and continues to help virtual assistants and other support staff learn Infusionsoft. 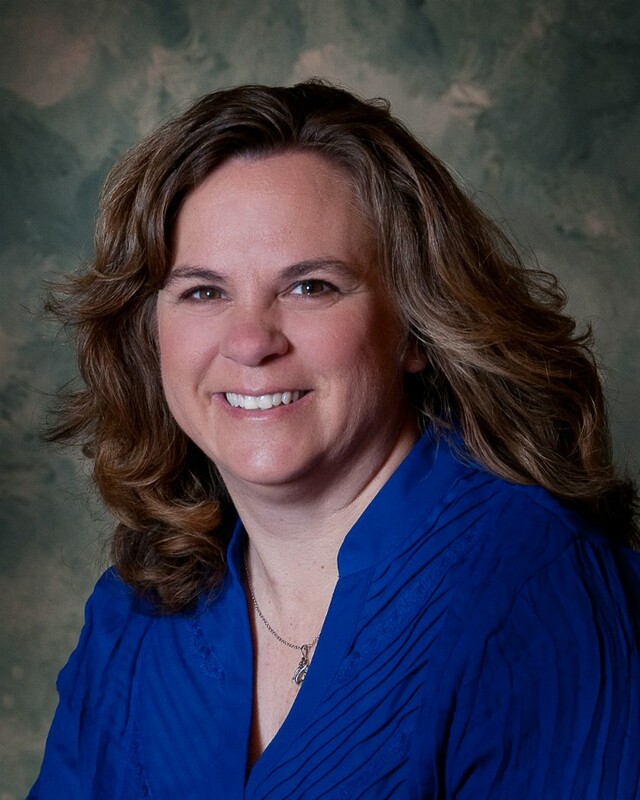 She has been a certified partner since 2012, and her Infusionsoft team continues to grow. Jama produces a podcast called Strategic Business Building to benefit her clients, team and followers in forward-thinking business strategies. 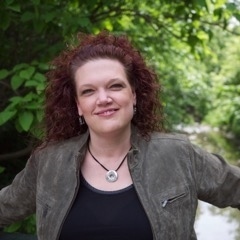 She is also the author of the Kindle book Marketing for Small Businesses: Creating an Amazing Referral Program and contributing author of So What Do You Do, Volume 2. Your Online Marketing Team simplifies your bigger, more sophisticated business ideas so that you can focus on what you do best to help more people and create more revenue. Follow Jama on social media! Do you ever wish you could have a career do-­over? Maybe go back in time and pick a different major? Or just scrap everything and start over in a completely different industry? Well Meg Davies did just that. After 14 years in commercial banking, Meg decided to become, as she describes it, “a witchy-­woo life coach”. Hear her story and thoughts about getting your life onto the right track. 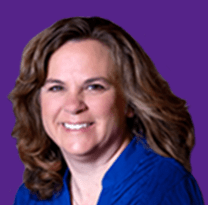 If you’re interested in talking to me about coaching, Meg offers a completely free, no­-strings-­attached strategy session to answer any questions and make sure that she's the right fit for a coach for you. You can schedule a free session on her website. Meg Davies is an author, teacher, licensed life and mindset coach, and founder of her company, Demanding Joy. After earning an MBA and having a 15­-year career in commercial banking, Meg decided that she wanted more than a corporate career had to offer. She took a leap of faith, changed industries, and launched her own company. Today, she helps other people who do too much or are feeling depleted to find their voices, nourish themselves in mind, body, and spirit, and live their own happiest, healthiest, most abundant lives. To learn more about Meg, visit her website at www.DemandingJoy.com. Follow Meg on social media!